For IT admins, managing Active Directory Lightweight Directory Services (AD LDS) objects is a time-consuming and complex task. Luckily, the AD LDS Object Management tool from ADManager Plus simplifies this task by letting you effortlessly manage AD LDS users and groups. What's more, this tool is completely free! 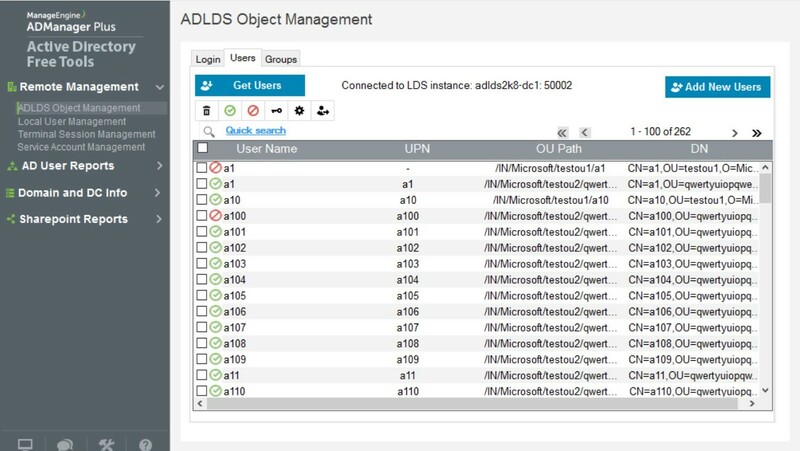 All you need to do is download and connect it to an LDS instance, and the AD LDS Object Management tool will do the rest! 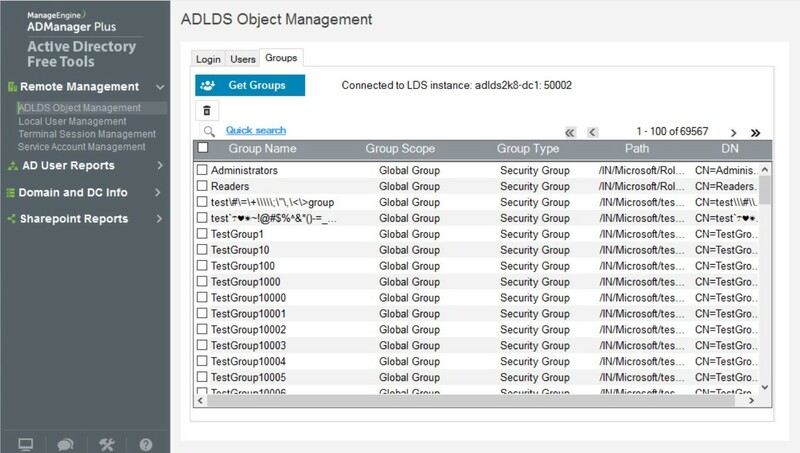 Figure 1: Manage AD LDS groups. Figure 2: Manage AD LDS users. Launch FreeTool.exe from your free tools installation folder. Execute the PowerShell cmdlet "Import-Module .\ADLDSManagement.dll" followed by "Get-ADLDSobjectManagement". Carry out AD LDS user management activities easily with this free tool by your side. In addition to managing users and groups, you can also view details about them whenever you'd like. Looking for a comprehensive AD management and reporting tool? Check out ADManager Plus! ADManager Plus is a web-based solution for all your AD, Exchange, and Office 365 management needs. It simplifies several routine tasks such as provisioning users, cleaning up dormant accounts, managing NTFS and share permissions, and more. ADManager Plus also offers more than 150 pre-packaged reports, including reports on inactive or locked-out AD user accounts, Office 365 licenses, and users' real last logon times. Perform management actions right from the reports. Build a custom workflow structure that will assist you in ticketing and compliance and automate routine AD tasks such as user provisioning and de-provisioning, and more. Download a free trial today to explore all these features.